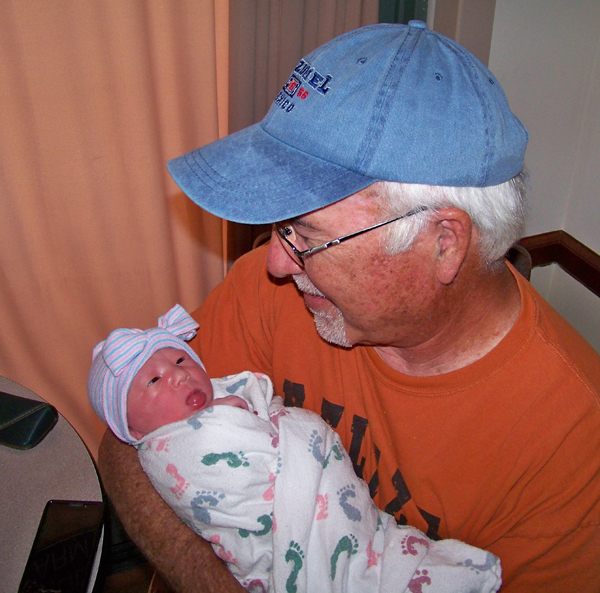 I know it’s hard to believe by looking at Marci and me, but we now have five grandchildren. Our oldest is 14, our youngest was born last month. All five of them are beautiful, brilliant kids who will excel at whatever they choose to do in life. If you don’t believe us, you are obviously not one of their other grandparents. In August we had the opportunity to lead a Summer Seminar on grandparenting and in the process of doing so, we learned a lot about how special grandparents really are. For example, we learned that there are key roles that grandparents play in the lives of their grandkids. Teller of Stories. Grandparents are family historians. Today’s kids have been called the “cut flower generation” because they have no roots. Every child needs a connection to their past and if you’re a grandparent, then you’re it! In Joshua 4, the Lord commanded stones to be set up so that when future generations asked “What do these stones mean?” they would hear stories about the faithfulness and power of God. We too set up stones by telling stories to our grandchildren about the faithfulness of God to our family down through the years. Parents give their children wings, but grandparents give them roots. Giver of Blessings. It has been said that the best thing about being a grandparent is that we get to spoil our grandchildren … and then send them home to their parents! Well, we also get to bless our grandchildren, not with money or things, but with our acceptance, our words of encouragement, and our prayers on their behalf. As grandparents, we want to spend as much time with our grandchildren as possible so that they will hear often how much we love them and how much God loves them too. Maker of Memories. I have vivid memories of time I spent with my grandfather in Tennessee, learning how to whittle a hickory stick into a slingshot, or learning how to fish with a cane pole, or watching him make watermelon rind false teeth. Mostly I remember how my grandparents would put their hands on my head and pray with loud voices as if God were hard of hearing. Those are unforgettable, life-changing memories. Likewise, the time we spend with our grandkids today can become memories that last a lifetime and make a powerful impression. Example to Follow. As grandparents, we pray that our grandkids will grow up to become people of great faith and character. While parents tend to worry about their children’s behavior, their schoolwork, their achievement in sports and academics, we don’t worry so much about things like that. We just want our grandkids to grow up to become good people—people who love God and love others. Researchers tell us that the influence of grandparents on their grandchildren is second only to the influence of their parents. With this in mind, we pray we will be good examples of the kind of people we want our grandkids to become. At our Summer Seminar we learned lots of great ideas from the grandparents who attended, but mostly we gained a whole new appreciation for what an awesome privilege and responsibility being a grandparent really is. As the Word of God says: “Don’t forget anything of what you’ve seen. Don’t let your hearts wander off. Stay vigilant as long as you live. Teach what you’ve seen and heard to your children and grandchildren.” (Deut. 4:6b MSG) No doubt about it. Grandparents leave for their grandkids a legacy of faith they can’t get any other way. This entry was posted in Family, Our Children, Our Grandchildren, Parenting and tagged Family, grandchildren, grandparenting, intergenerational, National Grandparents Day. Bookmark the permalink.